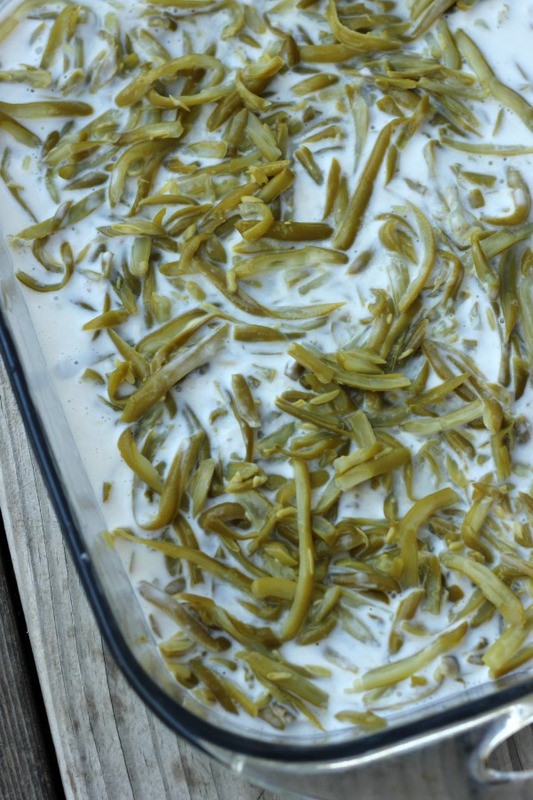 Green Bean Casseroles are pretty much a staple at most people’s Thanksgiving Dinners but I have a small confession to make. 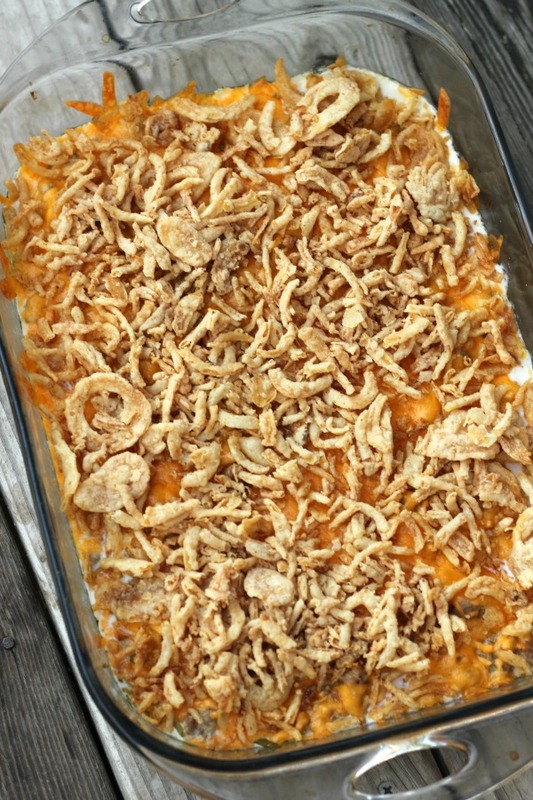 Growing up I never had Green Bean Casserole. I can’t even remember the first time I had it or who served it to me. But what I can tell you is that I love it. For the last couple of years B and I have done our own Thanksgiving. It’s typically just our little family and his dad. Not as big of a Thanksgiving as I grew up with but the fundamentals are there. Food, Famil and Thankfulness. 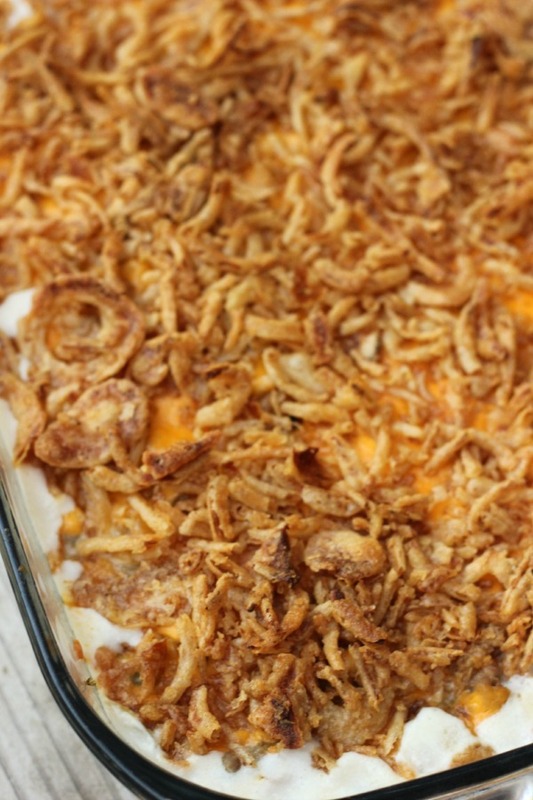 In our Thanksgiving it wouldn’t be complete without a Green Bean Casserole. I always take the biggest serving of it, it’s seriously so good. The entire month of Novemeber I crave it and all of Decemeber too. Which is why I often use the same ingredients I used to make a green bean casserole to make something different but still equally delicious. 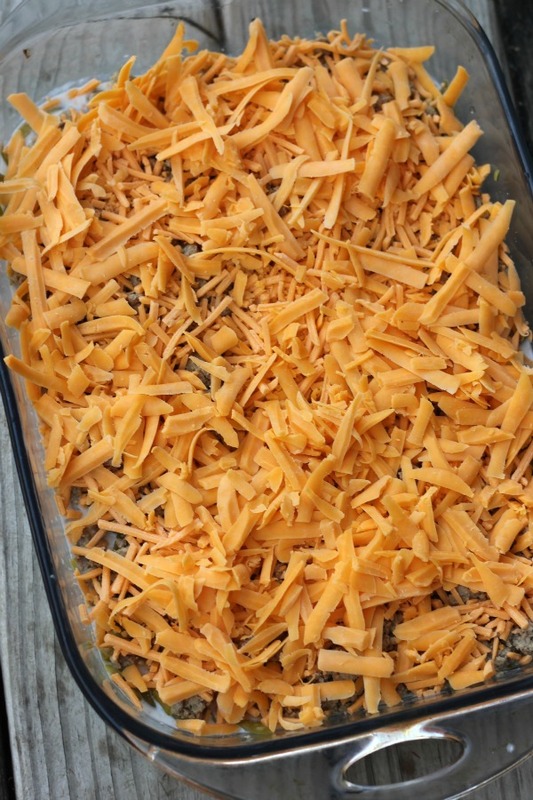 It has all the flavors of Thanksgiving and is comfort food at its finest. Preheat the oven to 350 degrees celsius. Cook 1lb ground turkey on medium to high heat. While the Turkey is cooking whisk together one can of Mushroom soup and 1 can of milk in an 11×19 glass pan. 1. Preheat the oven to 350 degrees celsius. 2. 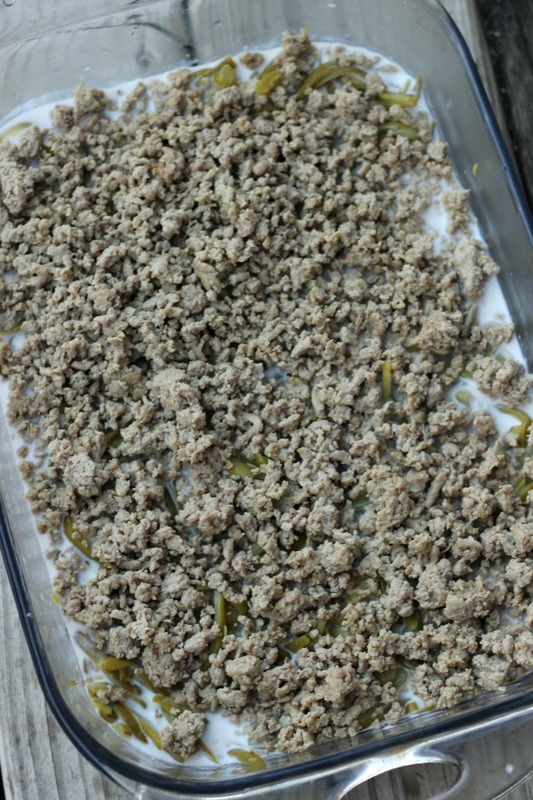 Cook 1lb ground turkey on medium to high heat. 3. While the Turkey is cooking whisk together one can of Mushroom soup and 1 can of milk in an 11×19 glass pan. 7. Bake for 25 minutes. When the timer goes off spread French Fried Onions on top of the cheese. 8. Place back in the oven for 10 minutes. 9. Take out of the oven and let cool for 10 minutes before serving! 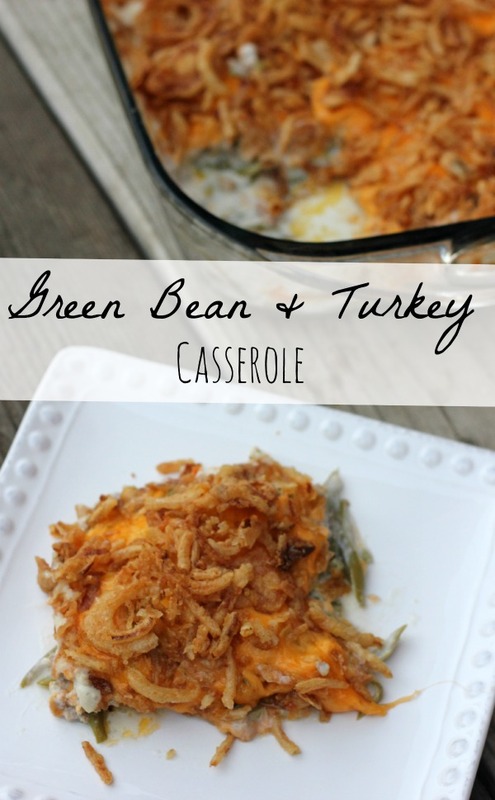 Looking for more ways to use all the ingredients used to make Green Bean Casserole? Visit Here.